By now you've seen Avengers: Infinity War. If you haven't and you're concerned about spoilers, you shouldn't be reading this article, because we are going to seriously spoil the ending of the movie. 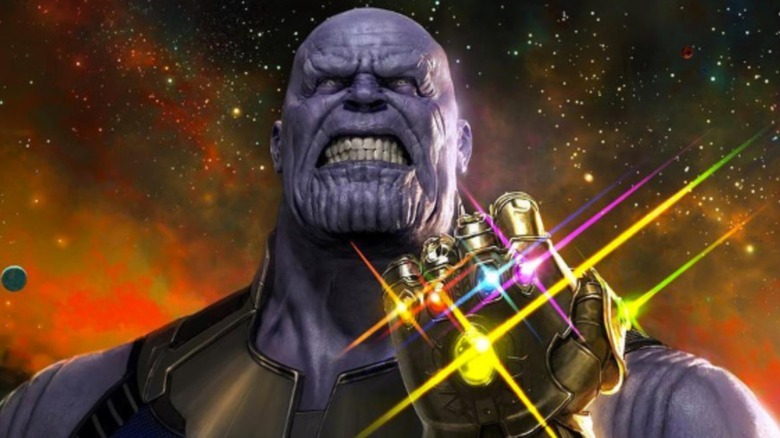 At the end of Infinity War, Thanos places the last gem into the Infinity Gauntlet and snaps his fingers, causing half the population of the universe to die, including many superheroes. Spider-Man and the Black Panther both die, despite the popularity of their recent movies. Scarlet Witch, Bucky Barnes, Falcon, and Doctor Strange are also among the dead, as are most of the Guardians of the Galaxy. Although the movie's ending is effectively emotional, it's not hard to guess that those characters will return to life by the end of the still-unnamed Infinity War sequel. Whether characters like Gamora and Vision, who were killed in other ways, will also be restored is a separate question. What we're concerned with here is who didn't die. Although Thanos claims that his extermination is random, narratively there's a reason for every choice. 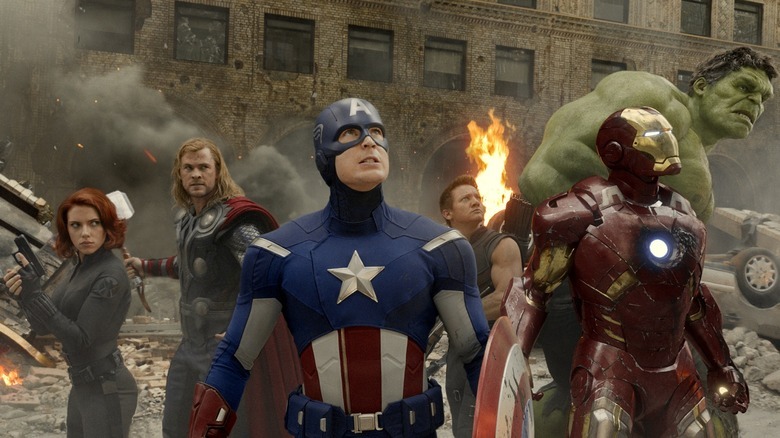 It makes sense to pare down the huge cast for the next movie, but why these Avengers? Why these survivors? Let's take a look at the surviving Avengers, plus a couple of other characters, and examine why they were kept alive for the movie to come. 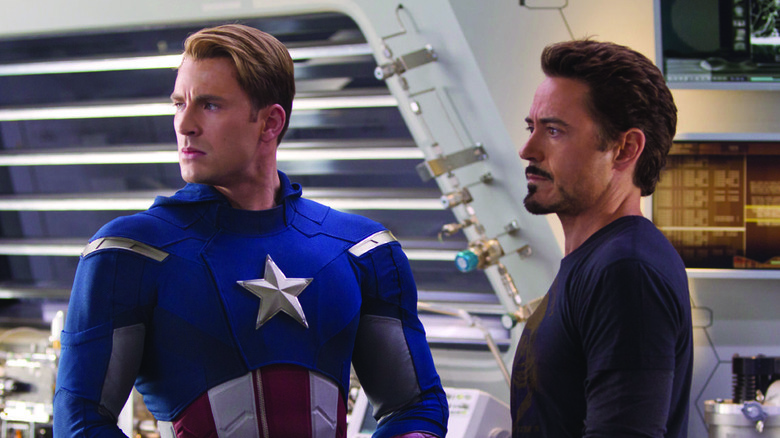 2012's The Avengers proved that these multi-superhero epic blockbusters can work. Sure, the MCU officially started with Iron Man, but Avengers was really the movie that set the franchise on the long road to Infinity War. It even introduced Thanos for the first time in a mid-credits scene, at a time when the whole idea that Marvel Studios could build a story so epic that it would have a place for the galaxy-spanning villain was hard to imagine. More importantly, The Avengers proved that audiences were not only excited to watch six superheroes fight off an alien invasion, they were invested in those superheroes' relationships with each other. It looks like the sequel will deliberately remind viewers of that movie, to let this huge story end in a place similar to where it began. That's why it's significant that Captain America, Iron Man, Thor, Hulk, and Black Widow all survive Thanos' finger snap. Don't be surprised if Hawkeye also emerges from his house arrest to once more be a part of the team. 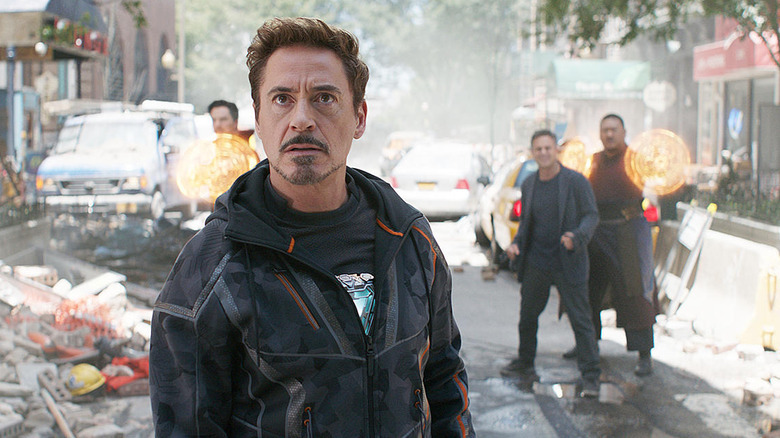 The Infinity War sequel seems primed to be a story that's not just about the Avengers, but about the original Avengers, coming through once more in the midst of the universe's greatest crisis. Details of the Avengers' actors' contracts aren't exactly public, but people on the internet do their best to keep track of these things. While there are questions about several of the cast members, the consensus seems to be that Chris Evans and Robert Downey Jr. will probably have reached the end of their contracts with Marvel after the next movie, and it's entirely possible they won't return. Evans in particular has already expressed a desire to move on and do other things. If Captain America and Iron Man (or at least the current versions of those characters) are done after the Infinity War sequel, then it makes sense for them to be the big heroes of the movie, to give them a worthy sendoff. One or both of them may even sacrifice himself to set the universe right. Cap's story is about always doing what's right no matter how hard it gets, while Iron Man's story is about a selfish man learning to be selfless, so putting it all on the line would make perfect sense for either of them. In Infinity War, Doctor Strange uses the Time Stone to look at 14,000,605 possible futures, and finds only one in which the heroes manage to defeat Thanos. Later, when Thanos is about to kill Tony Stark, Strange gives him the Time Stone in return for Tony's life, telling Tony, "It's the only way." Then of course Strange dies in the aftermath of Thanos' finger snap, so he can't explain any further why keeping Tony alive was more important than keeping the Stone away from Thanos. We can trust Doctor Strange, though, because he's seen the future in which the Avengers win, and up until his (presumably temporary) death, he does his best to set things on the path to that victory. Apparently, it hinges on Iron Man being alive. Maybe Tony Stark will have to sacrifice himself at a later date. Maybe Tony's highly developed engineering-focused brain makes him the only human with the skills to wield the Infinity Gauntlet once they manage to get it away from Thanos. Maybe he just needs to be the one to fly back to Earth and say "I know things seem helpless, but there's a way to win." Whatever Tony's role will be, the universe needs him, and Doctor Strange clearly knew it. After Thanos is defeated, it's safe to assume that everyone who crumbled to dust when he snapped his fingers will be brought back to life. A harder question to answer is what other events from Infinity War will be undone. 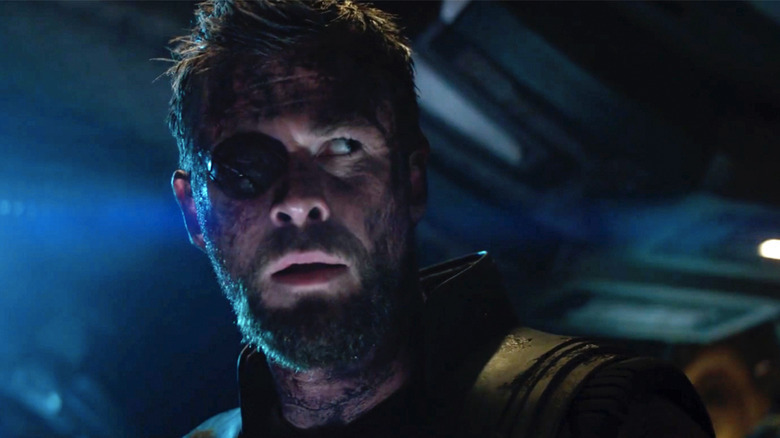 For example, what of the ship full of Asgardian refugees that was wiped out — or at least half wiped out — by Thanos? We witnessed the deaths of Loki and Heimdall, with the assumption that many of the other Asgardians except Thor were killed as well. That makes Thor one of the last Asgardians in the universe, and certainly the last member of the royal family. If the Asgardians are going to survive as a race of people, those that were killed will need to be resurrected by the Infinity Gauntlet (or possibly some other power over time and space) in the sequel. As such, it's probably up to Thor to initiate that. Moreover, the rest of the surviving Asgardians — like the ones Infinity War director Joe Russo confirmed to have lived — will need a protector. Who better to fill that role than the Odinson himself? 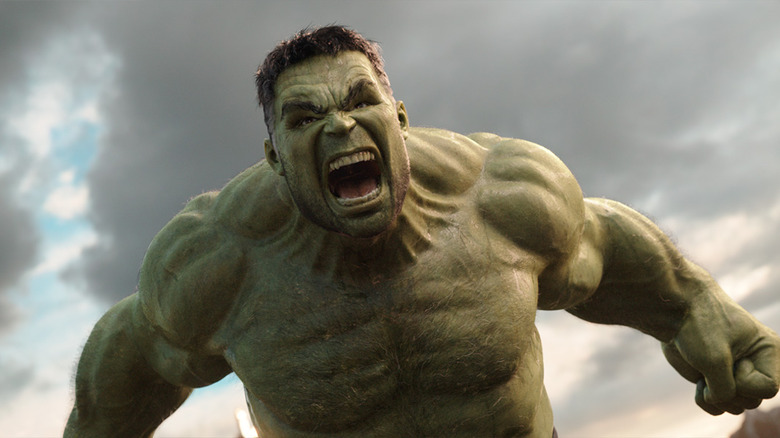 Remember, Bruce Banner never turned into the Hulk in Infinity War's final battle. We were all waiting for those green muscles to erupt out of the Hulkbuster armor, but the moment never came. Hulk refusing to come out of Banner's subconscious seems unprecedented, and the implication is that he was traumatized by his encounter with Thanos. It's not hard to understand the narrative tropes at play here, and that Banner's inability to transform is a setup building to the dramatic reappearance of the Hulk at the exact moment when his strength is most needed. That this moment didn't come in that final battle means that has to come in the sequel. That's why Banner couldn't die in the finger snap moment. His story is only half told, and he has to be alive to tell it. Not to mention that the return of the Hulk will be even more exciting if it's at a key moment that leads to the universe being saved and the victims of Thanos' actions being resurrected. Many people have discussed Infinity War as an adaptation of the comic Infinity Gauntlet, but that isn't precisely true. Infinity War tells the story of Thanos assembling the stones into the Infinity Gauntlet, whereas he's already done that by the beginning of the Gauntlet comic. His extermination of half the universe's population takes place in the first issue of that six-issue comic — so the still-untitled Infinity War sequel will be a much closer adaptation of that comic than this movie was. In fact, it would make sense if the title ends up being Avengers: Infinity Gauntlet. Perhaps the most fondly remembered moment of Infinity Gauntlet is a scene during which Captain America stands up to Thanos — who's wearing the Gauntlet that makes him omnipotent, and he's already easily defeated the other heroes. Cap knows he can't win, but he stands against Thanos anyway because it's the right thing to do. That sort of action is totally in character for the MCU version of Steve Rogers as well, and it will be a shame if a similar moment doesn't happen in some manner in the Infinity War sequel. 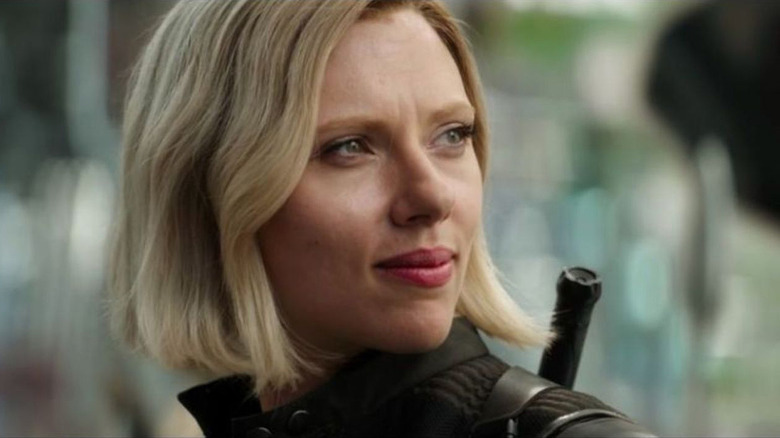 Much of Natasha Romanoff's MCU backstory remains a mystery. She once worked for the KGB (which raises some questions about her real age, despite the supposed 1984 birthdate given in Captain America: The Winter Soldier), and there also implications that she's done some nasty things since being recruited by SHIELD, including an unexplained incident in Budapest. As she put it in Avengers, she's got red in her ledger — meaning that she owes the world a debt for the evil things she's done, necessitating the heroic choices she now makes. That redemption story has largely been dropped in more recent movies, but that doesn't mean it's been forgotten. By helping to defeat Thanos and restore the Universe, Natasha will help save/restore countless lives. However many people she killed in her past is nothing compared to that number. Whether it's stated outright or not, this is how Natasha can pay her debt once and for all. She probably won't sacrifice her life, particularly since there's finally talk of a Black Widow solo movie getting off the ground, but she'll definitely be willing to, if that's what it takes. Of the official Avengers who survived the finger snap, War Machine is the only non-founding member. However, he's been around even longer than most of them. 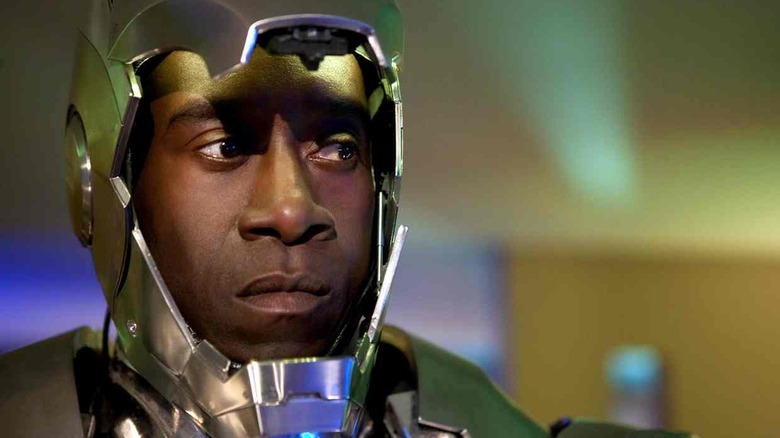 James Rhodes first showed up (played by Terrence Howard) in Iron Man, and became an armored superhero in his own right in Iron Man II, when Don Cheadle took over the role. That means War Machine has been around (in real-world time) longer than Captain America or Thor. Besides just his status as an early MCU hero, there's a more important and practical reason the Infinity War sequel needs War Machine. Captain America and Black Widow were both government agents, but are now fugitives. Also, as the post-credits scene reveals, Nick Fury and Maria Hill die when Thanos snaps his fingers. With half the population gone, the world is going to be in an apocalyptic state, and governments are going to be in a desperate panic. Somebody from the Avengers is going to need to be able to communicate directly with the United States government, and probably the UN, to share information and reassure them that actions are being taken. War Machine, as the most military-aligned hero in the MCU, is going to have to play that role. While we don't know what the exact plot of the Infinity War sequel will be, it's a safe bet that the Avengers will have to go to outer space. That's where Thanos is, where the Infinity Gauntlet is, and where any other artifacts or characters that can help will likely be found. It's also where Iron Man is, although he may find his own way back. If the Avengers are going to space, they'll need a spaceship pilot, something that's in short supply on present-day Earth. 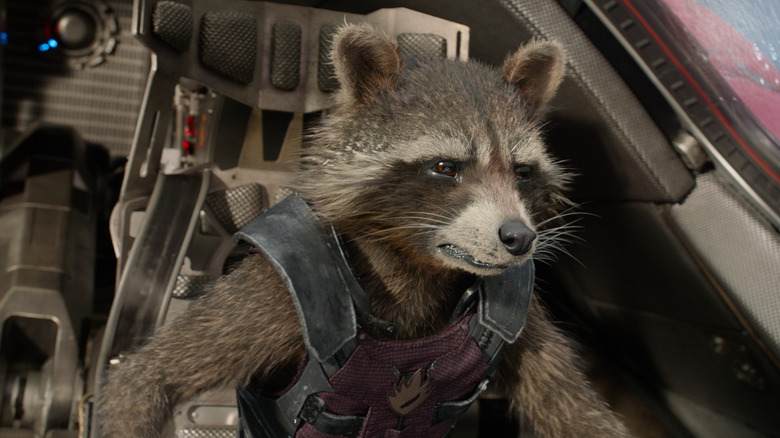 Fortunately, Rocket is there, and he's one of the best pilots around, which will likely play a key role in the sequel. Thor's new hammer appears to have teleportation powers, but we don't know its limitations yet, and, besides, they might have to split up. At some point a space ship will be necessary, and Rocket will be there to pilot it. Moreover, Rocket's story up to this point has been about his adopted family teaching him to be less cynical and selfish. With the rest of the Guardians of the Galaxy gone, his drama becomes about making himself do the right thing even when all seems lost and there's nobody he cares about there to keep an eye on him. Before Infinity War, Nebula wanted to kill her adopted father Thanos. During Infinity War, he tortured Nebula, murdered her sister, and wiped out half the universe. If she already wanted to kill him, what's she going to do now? Antiheroes often have an important role to play in stories like this, particularly when they have similar but ultimately divergent goals from the main protagonists. 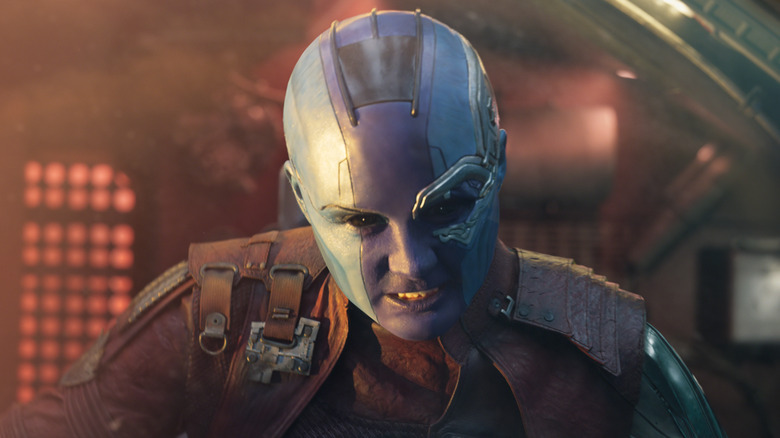 Nebula will probably help Tony Stark get off of Titan. She may even help the Avengers find Thanos and reach his planet. At the end of the day, however, she's going to want to kill him, while the Avengers may need to take a subtler approach. 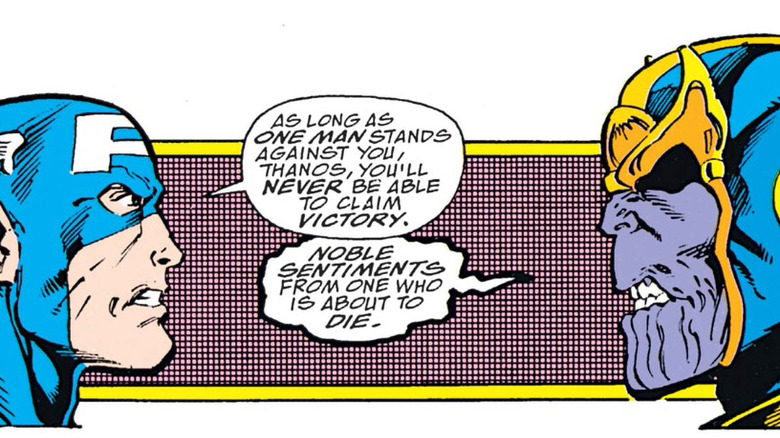 It's worth noting that in the Infinity Gauntlet comic, Nebula plays a key role in defeating Thanos. In fact, the heroes couldn't have done it without her. That's undoubtedly Nebula's most iconic moment in comics, so it would make sense — and make fans cheer — for her to do something similar in the movie. All of this is pure speculation, of course. Nebula and Rocket may well be written out of the next movie in favor of focusing on the Avengers. Hawkeye, Ant-Man, or even the Wasp may play key roles that we can't foresee, and of course we have no idea what Captain Marvel will do when she shows up. On the other hand, Infinity War contains plenty of clues about what will happen in its sequel, and the biggest clue is who survives.